But some doctors — frustrated by what they see as unreasonable price tags and political stagnation — are coming up with do-it-yourself solutions. 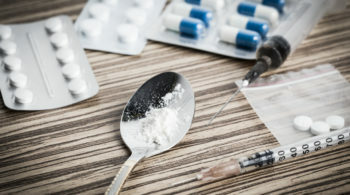 Their efforts to bring down costs for their patients highlight the arbitrary and often needlessly exorbitant prices of drugs in the U.S., they say. The price of EpiPens has surged in recent years — an increase connected to the device, not the active ingredient, epinephrine, which costs pennies. A two-pack now costs more than $600, up from just over $100 in 2009. In response to public outcry and lawmaker scrutiny, Mylan last December released its own generic version of the device at about half the cost, but that’s still out of reach for many. Meanwhile, some insurers have dropped coverage of the pricey name-brand auto-injector pack or made sure customers have access to cost-effective alternatives. Drugstore chain CVS reduced the price of a generic competitor. But all still cost at least $109. London charges her patients $50 for an initial device, and $2.50 for a refill. In the past, insurance has shielded consumers from most of the rising costs of prescription medicine. But that’s changed in recent years, as health insurance plans have increasingly required greater cost-sharing — typically through so-called high-deductible health plans, in which beneficiaries pay more out-of-pocket before coverage kicks in. Many of the GOP-backed plans under consideration in the effort to dismantle the Affordable Care Act emphasize this style of coverage, meaning more allergy patients would experience directly the consequences of this price surge, which has drawn scrutiny from the Senate Judiciary Committee. 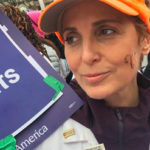 The issue also came up during a recent confirmation hearing for the Trump administration’s pick to head the Centers for Medicare & Medicaid Services, this time in regard to costs for federal health programs. London helps her patients sidestep the costs of an EpiPen by purchasing reusable auto-injectors manufactured by the British company Owen Mumford. She fills it with epinephrine herself. (Both the auto-injector and hormone are approved by the Food and Drug Administration.) Patients can come in for an epinephrine refill after they’ve used the dose, or after it’s expired. Experts say there’s no easy way to calculate what is spent annually on EpiPens that are thrown away because they are past their expiration date. Given the price tag, it’s likely many millions of dollars. Such workarounds can help individuals mitigate climbing costs, though they require extraordinary effort by the doctor and trust from the patient. London did a lot of research to find an auto-injector that was appropriate. The one she settled on is generally marketed for use with insulin syringes, but can also be used for many medications. The strategy is not without risks, noted Schondelmeyer, who worries about issues of sterility in a reusable device and other safeguards surrounding products made beyond the scope of FDA’s watchful eye. That’s why he is among those who caution against do-it-yourself remedies and against applying such approaches on a larger scale. Meanwhile, if a company were to attempt to market such a product, they would likely run into federal regulations and safety standards. Setting up a factory, or otherwise mass-producing the device, he added, would face regulatory hoops that could take years to clear before the product would be available. Other health professionals and government health agencies have employed strategies to deal with the EpiPen’s escalating price tag. In at least a dozen states, pilot programs are either underway or being explored for emergency medical technicians to replace the EpiPens they carry with reusable syringes kits. For example, participating EMTs in New York are given syringes, which can be filled with epinephrine on the spot. Analysts estimate that between $6 million and $10 million is spent annually by the state’s first responders on EpiPens “that are generally never used,” said Jeremy Cushman, an associate professor of emergency medicine at the University of Rochester, who’s leading the New York effort. Using refillable syringes, he said, the total expense per year comes below $400,000. This replacement makes sense for people with medical training, like EMTs, Cushman said. But it doesn’t work for everyone. And some institutions, such as school systems, have been slower to contemplate this and other replacement options — in part because they have less incentive to do so. At least 11 states require that schools keep epinephrine on hand, and schools often receive EpiPens from the manufacturer at heavy discounts or free. Baltimore County Public Schools, for instance, keeps about 400 EpiPens on hand in its 170 facilities. They record from 25 to 30 anaphylaxis cases annually, about two-thirds of which require stockpiled EpiPens. The rest are thrown away, said Debbie Somerville, the district’s coordinator for health services. It’s a similar story across the country. 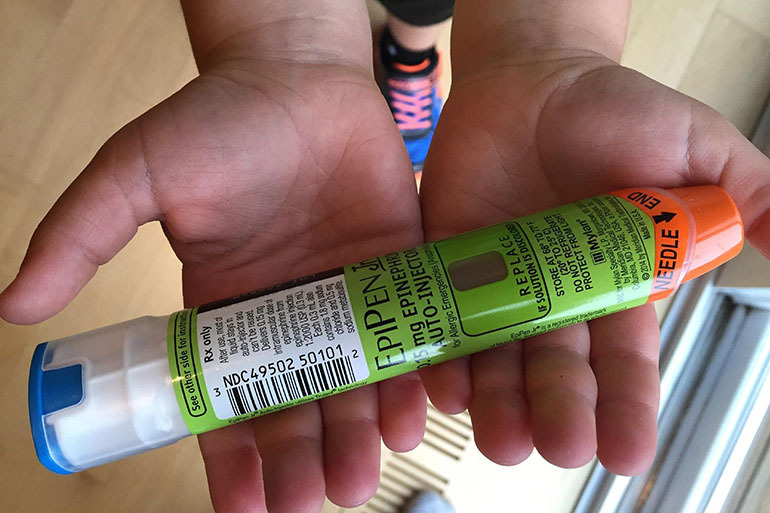 In San Francisco, the district’s public schools stock EpiPens and typically use fewer than 10 a year and dispose of about 120. Both systems receive the devices for free. Allergy patients who are advised to carry around this emergency treatment also don’t necessarily have the specialized medical knowledge to fill a syringe on the spot. They need something easier, with less room for error. That’s why the EpiPen, and in particular the auto-injector, has become so popular. In one such protocol, a nurse at one Texas hospital devised a portable and adjustable three-head shower that makes it easier to wash burn patients by keeping damaged skin tissue away from the water spray. Traditionally, nurses have spent hours washing these patients, manually moving around the showerhead. This fix saves labor, time, water and money. That’s true of London’s allergy patients — for whom those EpiPen price hikes matter a great deal.